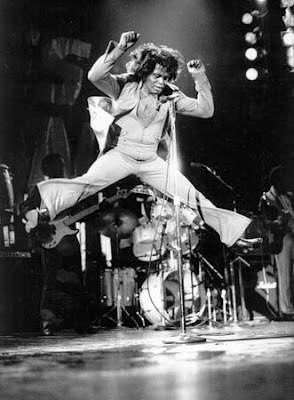 The God Father of Soul, James Brown was the most exciting man to ever grace any stage. He was a prolific songwriter, a soulful singer and a dynamite dancer. Who else do you know that has not only inspired great artists (Michael Jackson and Prince) but entire musical genre's (Funk, Hip-Hop and Go-Go)? The Big Payback is one hell of a groove. Plus he was gangsta before gangsta rap. He threatens to cut you in the song. Did I mention the constant crazy groove and the blaring horns that makes you get up and dance. This is SOUL!